"Everybody wants to be heard. Everybody wants to be seen. Everybody wants to be known, and everybody's got some dreams." 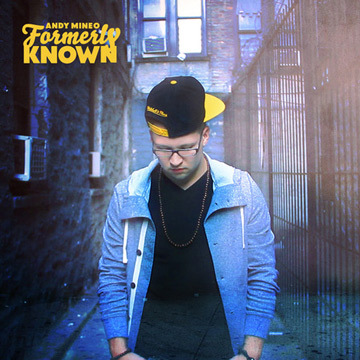 At first glance, the title "Formerly Known" will strike a chord with anyone who has been following Andy Mineo's music. Those who know about the name change from C-lite to Andy Mineo will get it, but that only scratches the surface of the much deeper meaning of the title. Each of us long to be understood, loved, and known. Most of us spend the majority of our lives pursuing people, places, and things that we believe can offer this kind of comfort. Andy's hope is that this project will point people to the answer to those longings. We were made to have fellowship with the God that created us and knows us better than we know ourselves. The God that knew us before we were formed in our mothers womb. The God that knows every hair on our head. The God that makes us a new creation.